Alan Partridge (Steve Coogan) has been around for ages, however this is the characters first foray into movies. I must be honest and say that Alan is funnier in the movie world, than he was in the TV world. 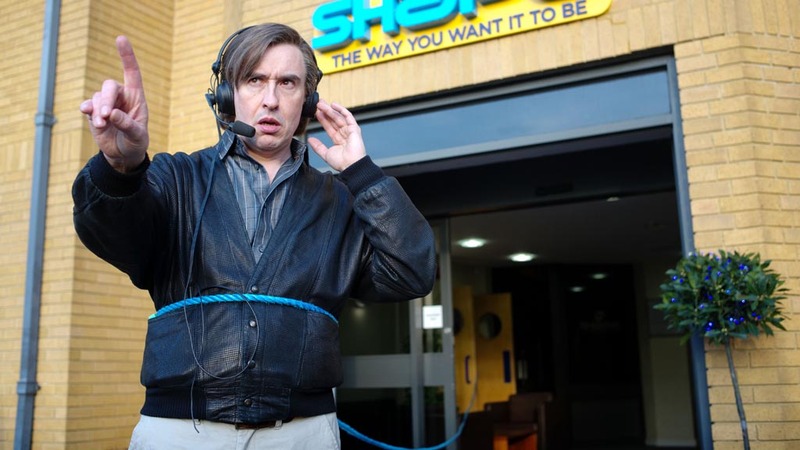 Alan Partridge works for North Norfolk Digital, a radio station in Norwich. He’s been there for some time and considers himself irreplaceable. However when a new company buys the station, Alan and another DJ called Pat Farrell (Colm Meaney) fear change is coming. Pat asks Alan to speak to the management and calm his fears. Alan goes to the management to tell them how bad it would be if Pat was sacked. However when he glimpses that the choice was between himself and Pat for the chop, he throws Pat to the wolves to save his own skin. Pat leaves but doesn’t take the news to well. He returns later that night with a shotgun and takes everyone at the station hostage. Thinking he has a friend in Alan, Pat asks that Alan be the mediator between himself and the police. Alan, being the person he his accepts, but uses the siege as a way of making himself more popular. Trying to appease Pat, but also secure himself a more lucrative future at the station. 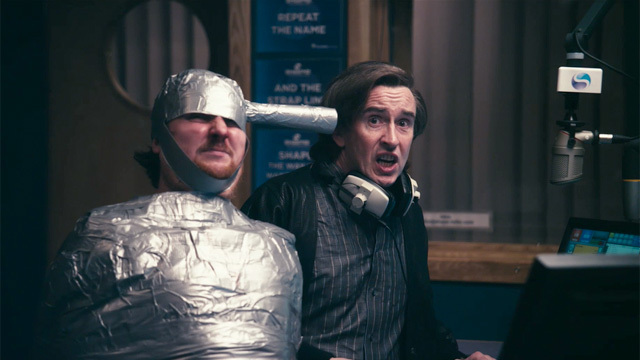 When I used to watch Alan Partridge on television I always used to find him a bit hit and miss. However with the movie, the writers have really pulled it out of the bag. Almost 95% of the jokes hit home. I couldn’t believe how funny it was, and it’s even better on the second viewing. Alan has some amazing lines and is endearingly sleazy, like a British Ron Burgundy. The soundtrack is also amazing. As much of a prat that Alan can be, he has an amazing taste in music, something I’m sure Steve Coogan had a hand in. Colm Meaney brings wonderful warmth to a character that you feel has been screwed over, and reacts how any desperate man would. Felicity Montagu is fabulous as the put upon Lynn Benfield, Alan’s PA. The rest of the supporting cast are also brilliant. I absolutely loved this movie. If you’ve always been put off by Alan Partridge, I urge you to give him one more chance with this movie. It is without a doubt my favourite of comedy of 2013. It just knocks it out of the park and is one I will definitely be watching again. I’m glad to hear this. 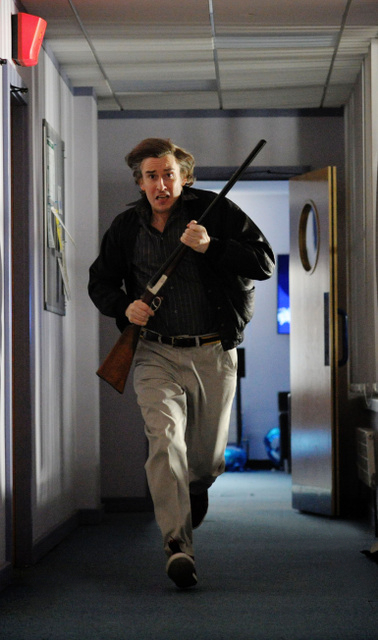 I like Steve Coogan, but I don’t think there’s anything funny about Alan Partridge. I might actually give this a shot. And Colm Meaney is great in everything. I think you’ll dig it mate. I was honestly very surprised how funny I found it.